The Freeride 5 is designed for sailors of all levels who take their windsurfing seriously. 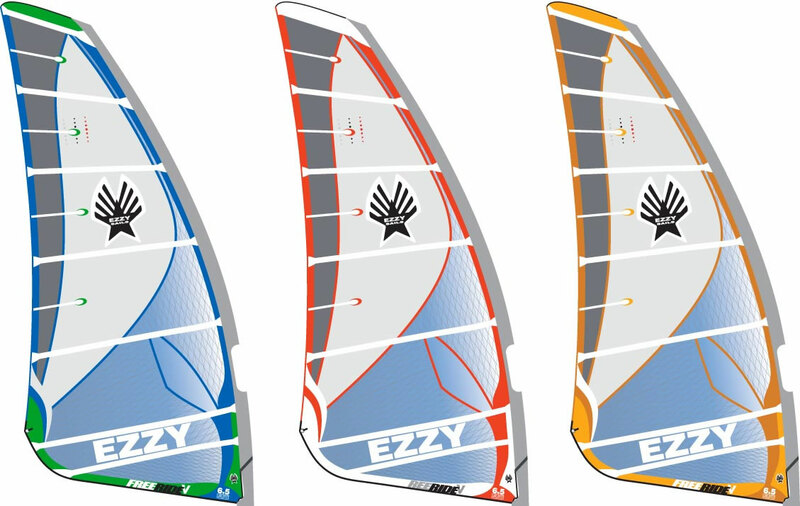 Whether you want to be the fastest on the water or make perfect jibes, the unique draft-forward profile of the Ezzy Freeride allows you to sail with greater efficiency and less effort. The Freeride 5 is perfect for flat water blasting and bump-n-jump sailing. Strong and light and no monofilm. The Technora® and Tri-Lite materials used in the Freeride makes it undeniably the finest handcrafted freeride sail in the world. The color coded downhaul marks and the color coded outhaul cords, making the sail’s massive wind range easy to navigate. You’re not the first to rig it. Our quality is guaranteed because we rig every sail in our factory before it’s shipped. We take our customers as seriously as we do our sails. Email us ([email protected]) and you will get a personal response within 12 hours.